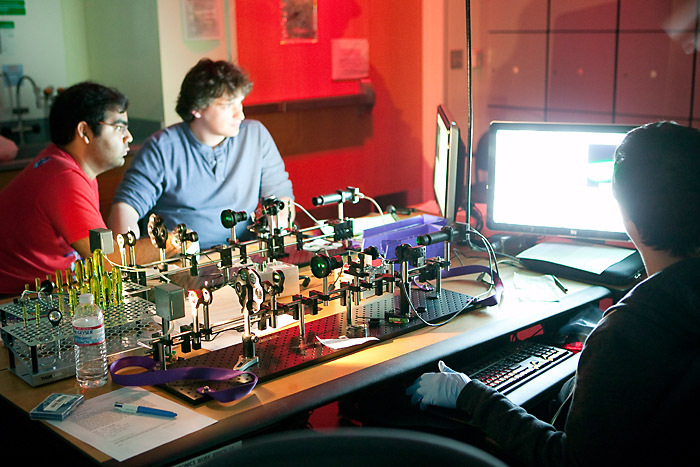 Inexpensive image sensors (in webcams, and now cellphones) have changed the possibilities for undergraduate and graduate optics labs: suddenly the real power and elegance of optical imaging is accessible to students at all levels through exciting and useful hands-on imaging labs. 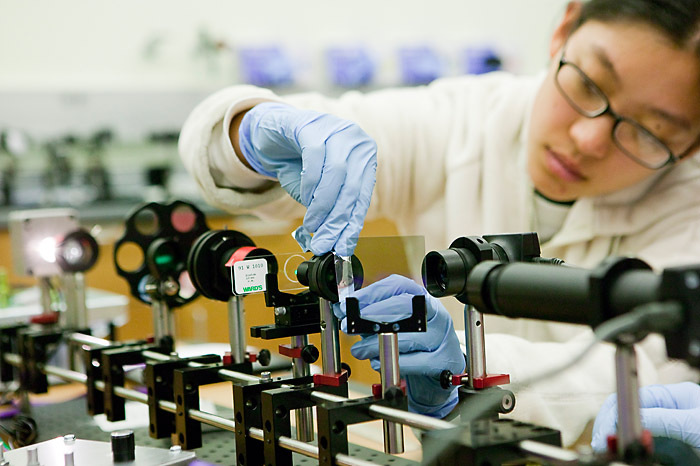 Since it is now commonplace to build custom microscopes for research projects – especially those involving fluorescence microscopy, a technique at the vanguard of the current revolution in biology and biomedicine (and subject of 2008 and 2014 Nobel prizes) – the skills taught in these labs can be immediately put to use. We have built many, many light microscopy systems, in both industry and academia, and this is the lab class we wished we had had as students. There is a strong emphasis on building physical intuition, and on the simple rules of thumb that practicing scientists and engineers use to understand optical systems. The use of actual cameras and lenses allow you to see (literally!) what is being discussed, from illumination sources imaged onto the condenser front focal plane to diffracted orders in the objective back focal plane. This makes what once took hours of drawing tedious diagrams to understand obvious in seconds as students look firsthand at where the light actually goes, or how the image changes when an iris is moved. Learning optics this way is also a lot more fun for both students and instructors – a regular favorite is the moment when students first set up imaging with their cameras: even when three groups in a class have just done the same thing, the fourth still finds it exciting. Figure 1: Fluorescence imaging in progress. Each microscope set-up is built and aligned by a team of two students. A set of ten 3-hour lab modules have been designed to support a semester-long course, with all required materials. However, subsets of the labs can also be done as part of an Advanced Lab class that has students rotate through various different lab set-ups, or to emphasize the Fourier optics components of the labs for more advanced students. Pedagogically, the course starts with lenses, and moves quickly (in Lab 2) to actual imaging on real CMOS cameras. Labs 3 and 4 introduce resolution, aberrations and the importance of illumination, setting the stage for setting up a complete microscope (with Kohler illumination) in Lab 5. The following three labs, 6 – 8, are the theoretical heart of the course and make use of a second camera imaging the objective back focal plane to introduce the Abbe theory of image formation in substantial detail, including deeper investigations of resolution and contrast, including the MTF, darkfield and phase contrast. The final two Labs, 9 and 10, involve fluorescence imaging and include a quantitative introduction to filter selection using Excel – a critical skill for those working with fluorescence, and simple enough that there is no reason not to include it at even the undergraduate level. Figure 2: Student masking the objective back focal plane during the Abbe theory / spatial filtering lab. The Immersion will be three days long. The intent is to make it tractable for participants to introduce lab modules or the entire class at their home campuses; total equipment cost is about $10k for a single lab set-up. The materials will be available as a single kit through a collaboration with Thorlabs, Inc., making it easier to both set up and support the lab. Course and Lab Notes, (as well as Instructor Tips documents for faculty) for all ten lab modules – over 300 pages total – are provided as free PDFs to reduce student costs. We will address set-up and alignment of the optical system; imaging, image analysis, and go through several of the most exciting lab modules, including Abbe theory and spatial filtering, phase contrast, and fluorescence imaging. Reading from the Lab and Course Notes will be assigned beforehand; participants should bring their course materials (provided in advance), a notebook, and a laptop. - Afternoon: Adding a back focal plane camera; imaging and the back focal plane. - Afternoon: Contrast mechanisms (brightfield, darkfield, fluorescence; phase if time allows). Neil Switz received his B.S. in physics from Stanford, his M.S. in applied & engineering physics from Cornell, and his Ph.D. in biophysics from UC Berkeley. He has industry experience as an engineer making safety-critical medical gas monitoring systems and helping launch a publicly listed microfluidics and fluorescence imaging-based biotechnology company. 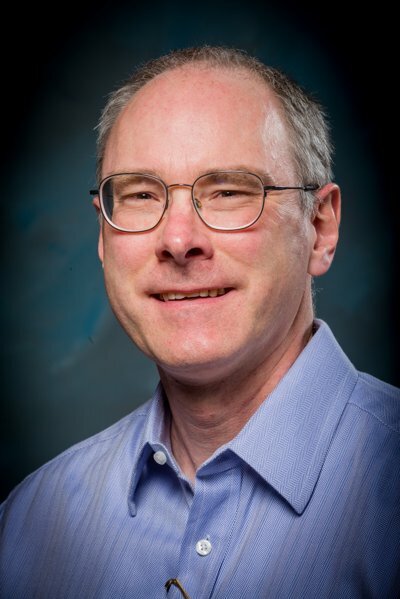 He taught broadly in the upper and lower-division physics curriculum at The Evergreen State College in Washington state, and in 2016 joined the physics faculty at San Jose State University. Currently his research focuses on optics-based medical diagnostics for deployment in low-resource areas. Devices he has helped design have been deployed in Vietnam, Thailand, and Cameroon. Neil won awards for teaching the material in this Immersion at UC Berkeley, and now teaches it as part of his upper division advanced optics lab course at SJSU. Neil Switz, Assistant Professor of Physics, San Jose State University, Department of Physics & Astronomy, One Washington Square, San Jose, CA 95192-0106. Email: neil.switz@sjsu.edu. Telephone: 408-924-5252. Dan Fletcher received a B.S.E. from Princeton University, a D.Phil. from Oxford University as a Rhodes Scholar, and a Ph.D. from Stanford University as an NSF Graduate Research Fellow. After a postdoctoral fellowship in the Stanford University School of Medicine, he began his faculty career in the Department of Bioengineering at UC Berkeley, where he is now Chair. Dan continues to teach courses on optics, microscopy – including material from this Immersion – and cell mechanics. He and his laboratory are known for development of new optical and force microscopy tools to study cell mechanics, and for innovative research on the membrane and cytoskeletal structures that animate cell movements. 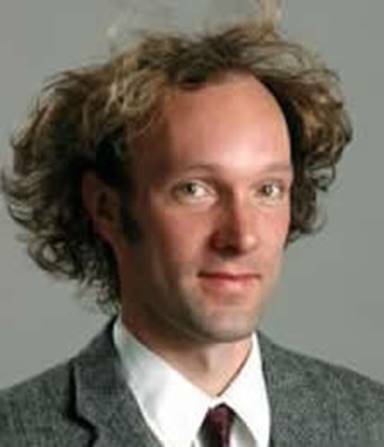 Dan Fletcher, Chair, Department of Bioengineering, UC Berkeley, 608B Stanley Hall, Berkeley CA 94720. Email: fletch@berkeley.edu. Telephone: 909-607-2768. Please note that the Jonathan F. Reichert Foundation has established a grant program to help purchase apparatus used in Laboratory Immersions. Limitations and exclusions apply, but generally speaking the foundation may support up to 40% of the cost of the required equipment.